For the past two years, teamworks communication management has partnered with Make-A-Wish Foundation and Macy’s to promote the annual Macy’s Believe Campaign and Santa Bus Tour in markets – large and small – across the country. Through the Believe Campaign, Macy’s donates $1 for every “Letter to Santa” dropped into the Santa Mail Letterbox at any Macy’s location, up to $1 million. Over the past two years, teamworks has managed the efforts of dozens of PRConsultants (PRCs), promoting the Believe Campaign in 30 markets and Santa Bus Tour – Santa’s visits to cities across the United States in his own “rock star style” motor coach — in 20 cities. * In 2010, the national team garnered 45 TV segments in 20 supported markets, not including additional rebroadcasts. For example, in Birmingham, coverage of the Macy’s store event aired on the 9p and 10p news broadcasts, and then was aired again three times during the morning show the next day. * In the seven 2011 Santa Bus Tour markets supported nationally, PRCs secured 23 morning show segments and 17 segments later in the day. These markets varied in size, from San Francisco to Fort Wayne, Ind. In the 20 supported Believe Campaign markets, we had coverage on 43 TV stations, many of which ran multiple segments. * More than 1.6 million letters were delivered to Macy’s during the 2010 campaign, a 20 percent increase over the previous year! * In 2011, the program saw a 19 percent increase, and an additional 95 percent increase in letters submitted on double donation day. 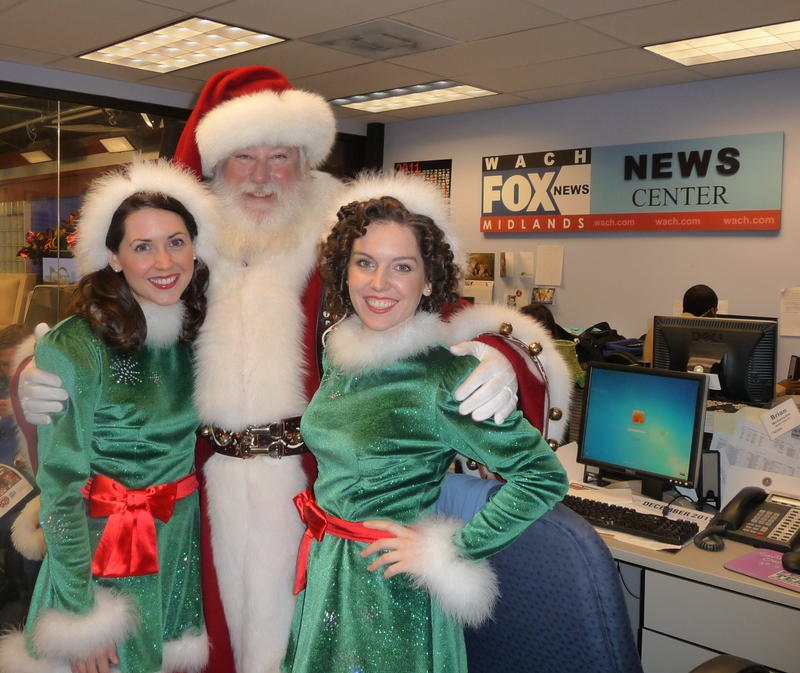 * In South Carolina in 2011, Davis Public Relations secured live morning show segments on WLTX-TV and WACH-TV as well as taped segments and promos that aired throughout the holiday season.